The Scott Mission at Spadina Avenue and College Street opened a free toy store for parents of the city’s neediest children. 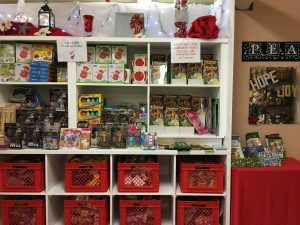 From Nov. 28 to Dec. 9, registered clients of the Mission were able to shop for a bagful of new children’s items including books, sports equipment, puzzles, and games. The Mission has also provided 2,600 grocery store gift cards, emergency groceries, children’s snowsuits, a hot Christmas meal, and a Christmas gift for every child in its camp and youth program this holiday.